Network solutions provider Brocade has announced a new partnership to enhance its lease offerings in Europe. The deal with BNP Paribas Leasing Solutions will allow the vendor to offer its products on flexible terms across the UK, Netherlands, Germany, France, Italy, Austria, Belgium and Spain as well as India. “Our agreement with BNP Paribas Leasing Solutions furthers our commitment to customers in helping them drive business transformation, while managing budgets in a prudent manner,” commented Marcus Jewell, vice president EMEA at Brocade. With network scope and requirements changing rapidly as the business environment and flexibility develops, it is hard for customers to keep up to date without considerable investments so leasing is fast becoming a popular option. “As a leader in networking solutions that enable organisations to deliver tomorrow’s networks today, we are pushing the innovation envelope on both the technical and business front," continued Jewell. Consumption economic models change how the IT department supports business objectives, flexing with the demands of the business, including the way services are paid for, if an organisation delivers those services on demand. Brocade Leasing, part of the wider Brocade Capital Solutions portfolio, including Brocade Network Subscription, will allow organisations to refresh their network infrastructure and add or subtract capacity without the need for significant capital expenditure, instead paying monthly with no down payment and no term limits. 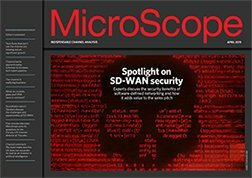 “With financing from Brocade, customers can turn on vast amounts of networking capacity, but do so in a flexible manner, such as bundling hardware, software, support contracts and professional services into one low monthly payment, thereby easing fiscal pressure on the business,” Jewell concluded.